Our first state championship level action of the season, the NJSIAA Indoor State Relay Championships will take place this Thursday, January 18th, through Sunday, January 21st. 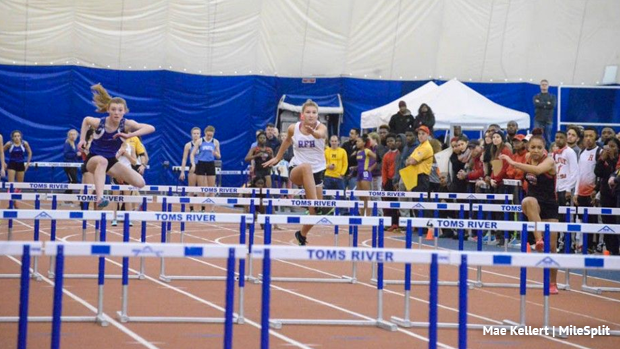 NJ MileSplit will be on site taking photos, giving updates, and conducting interviews at every meet. Follow along on our twitter page and make sure to tag us in your own pictures and videos from the meets. Entries and initial seed listings will be posted after the NJSIAA reviews them Tuesday. 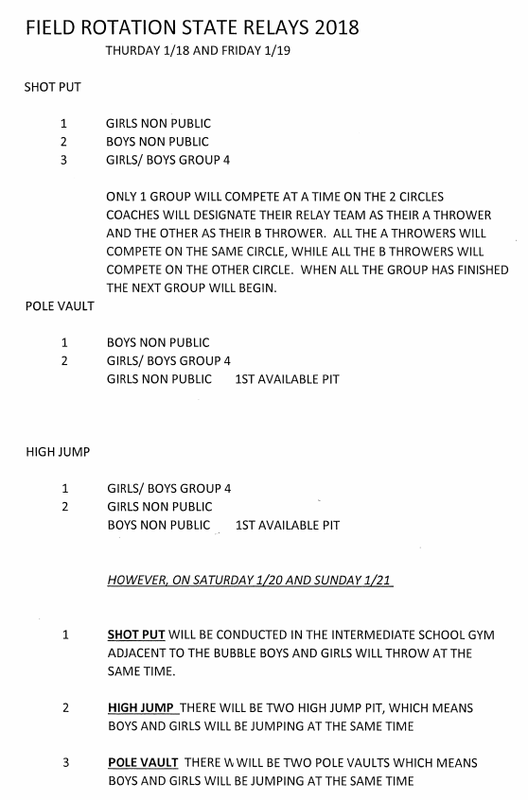 Non-Public schools here are the relay only classifications released by the NJSIAA. Check out where you match up heading into this weekend through the link above. State Leaders and Rankings - Filter by Group using the League filter! No tape is allowed on the track surface. 1/8" pyramid spikes permitted in all events except shot put. If there is a need, snow date is Monday January 22nd, 2018.